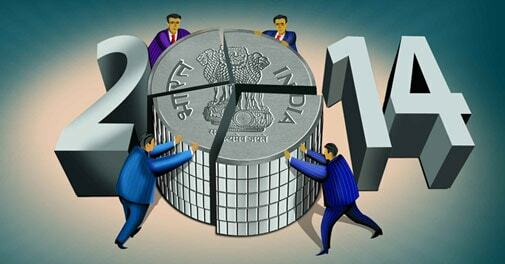 'Stocks will deliver best gains in 2014' Apart from the two current favourites, IT and pharma, financial services, segments of automobile industry and companies associated with industrial capex will perform well in 2014, says Anand Rathi, Chairman, Anand Rathi Financial Services. 'MFs will have to find right opportunities in current mkt' The Indian mutual fund industry is transforming, in terms of regulation, primarily for the benefit of the investor. In 2014, funds will have the responsibility of finding opportunities in the current market as well as improving retail participation, says AMFI Chairman Sundeep Sikka. 'Life insurance sector can offer better incentives in 2014' Life insurance industry can leverage India's burgeoning population if the Union Budget exempts life insurance products from taxation, providing investors an incentive to buy life cover, says Life Insurance Council's V Manickam. 'Agri commodities could offer high returns in 2014' Rupee volatility was a major factor, with the currency's fall supporting exports. Chinese economic growth and its demand for agricultural commodities will be the other crucial factor in 2014, says ADMISI Commodities' Tushar Rathod. 'Industrial metals to move at varied pace in 2014' Motilal Oswal Commodity's Kishore Narne says nickel and lead look the best in the metals pack on improved fundamentals, while copper can spring surprises mid-way. 'Real estate prices may not come down in 2014' CREDAI Chairman Lalit Jain says construction cost has increased by 40% in two years, while taxes have also gone up. This eliminates any scope for reducing prices. 'Rupee to trade within 60-65 range over next 6 months' Rupee will trade within a range of 60 and 65 over the next five-six months till the elections are over and the political outcome is known, says Anindya Banerjee, Senior Manager, Currency Derivatives, Kotak Securities. What to expect from various sectors in 2014 Experts tell Money Today about their expectations from the various sectors. While business sentiment and policy reforms should pick up after the general elections in 2014, the investment cycle may take time for any significant revival. Gold ETFs continue to disappoint investors for the second year in a row with negative returns as the precious metal remained under pressure globally due to strengthening dollar and fears of QE taper. FIIs have increased their stake in select stocks. Money Today analayses data over four quarters to see which stocks FIIs have been buying and selling in the last one year to give a hint about where to invest in 2014. 'Exercise caution when investing in stocks of tyre firms' Tyre stocks are on a roll. A sharp fall in rubber prices in the past few months and high replacement demand have ensured stellar gains for both tyre companies and their investors. Tata Elxsi among top gainers in past 6 months Tata Elxsi is among the top gainers in the past six months with return of over 82 per cent. Money Today experts answer your queries on everything related to financial planning. The New Year is sure to be an exciting one for investors with India going to the polls to elect a new government, writes Executive Editor Sarbajeet K Sen. Featuring Apple MacBook Pro, Google Nexus 5, Micromax Bolt, HTC One Mini and HP Chromebook 14. AutoBild lists out tips to keep your car safe in winters Winter is here. Make sure your car is ready for the cold months, especially if you're planning a road trip. Here are our top tips to keep you safe on the road. The decision comes after the Reserve Bank of India (RBI), in its 18 December policy review, decided not to increase the rate at which it lends to banks. Sebi plans to rein in research analysts The market regulator has floated a 'consultation paper on proposed regulation of research analysts'. Irda to assign identity number to hospitals The regulator, in collaboration with the Insurance Information Bureau, has started a project for compiling data of hospitals across the country and allocating them with a unique number. Stricter rules ahead for insider trading A committee set up by the capital market regulator has proposed to widen the definition of insiders by including public servant, employees and their immediate relatives who are in possession of price-sensitive information.